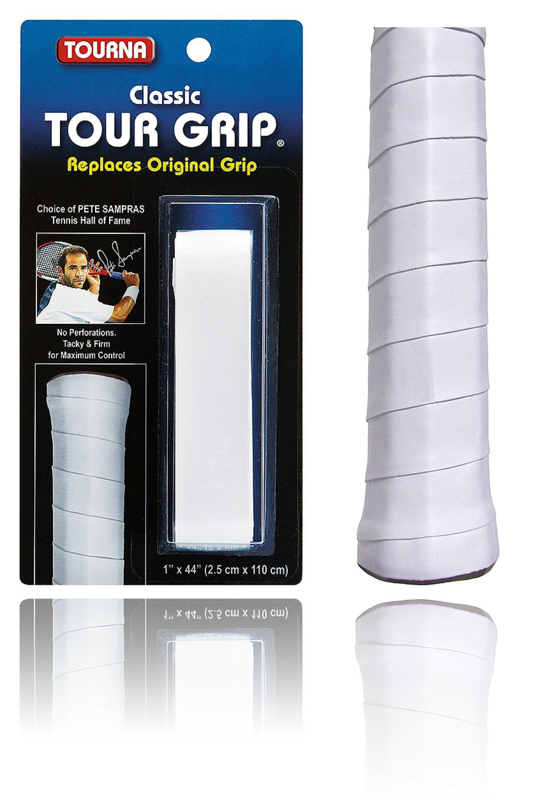 Tourna's Pro Gel replacement grip provides a great combination of comfort and control. 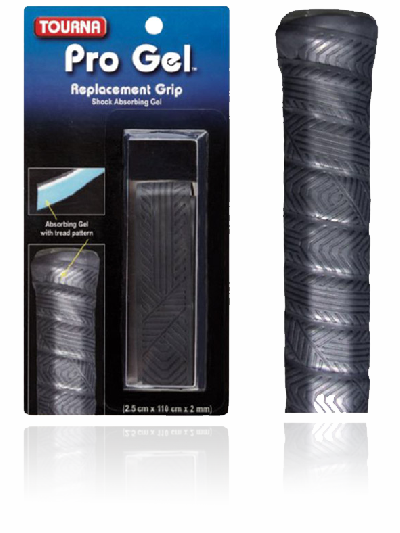 Made with a layer of shock absorbing gel, this grip will give you some extra protection from the shock of ball impact. 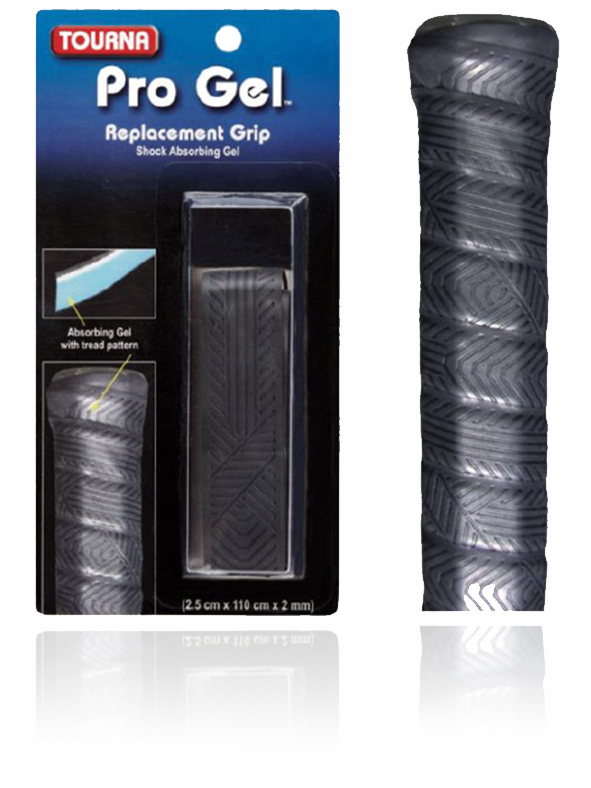 This grip also comes with a tred pattern for extra traction, making it easier to achieve a secure grip.